How can statistics help us understand the world? Can we come to reliable conclusions when data is imperfect? How is statistics changing in the age of data science? Statistics has played a leading role in our scientific understanding of the world for centuries, yet we are all familiar with the way statistical claims can be sensationalised, particularly in the media. In the age of big data, as data science becomes established as a discipline, a basic grasp of statistical literacy is more important than ever. 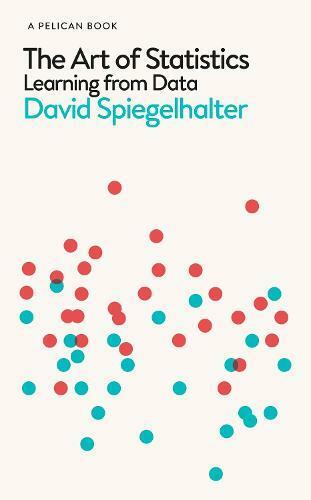 In The Art of Statistics, David Spiegelhalter guides the reader through the essential principles we need in order to derive knowledge from data. Drawing on real world problems to introduce conceptual issues, he shows us how statistics can help us determine the luckiest passenger on the Titanic, whether serial killer Harold Shipman could have been caught earlier, and if screening for ovarian cancer is beneficial. How many trees are there on the planet? Do busier hospitals have higher survival rates? Why do old men have big ears? Spiegelhalter reveals the answers to these and many other questions - questions that can only be addressed using statistical science.